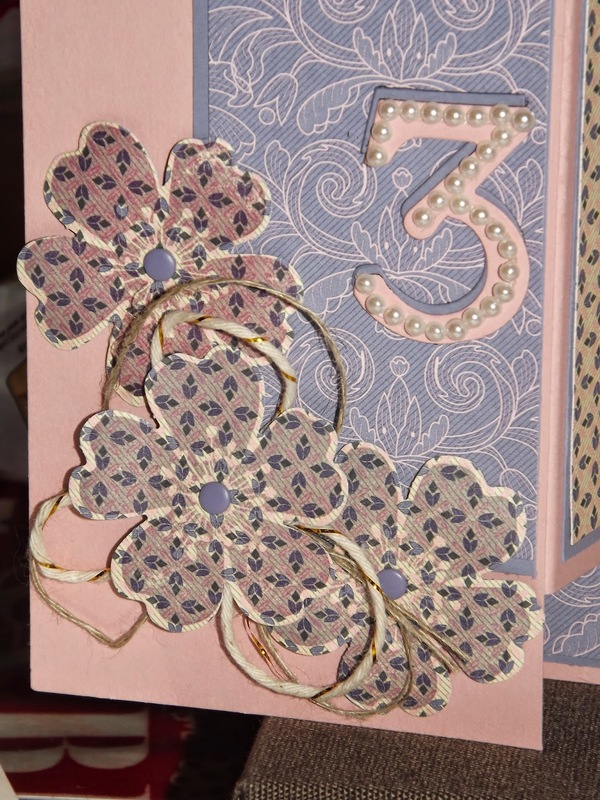 Another pair of cards made with this stamp set. It just shows how versatile it is. Here I have used the little triangles. I have stamped the sentiment then cut into individual words and layered up on dimensionals. 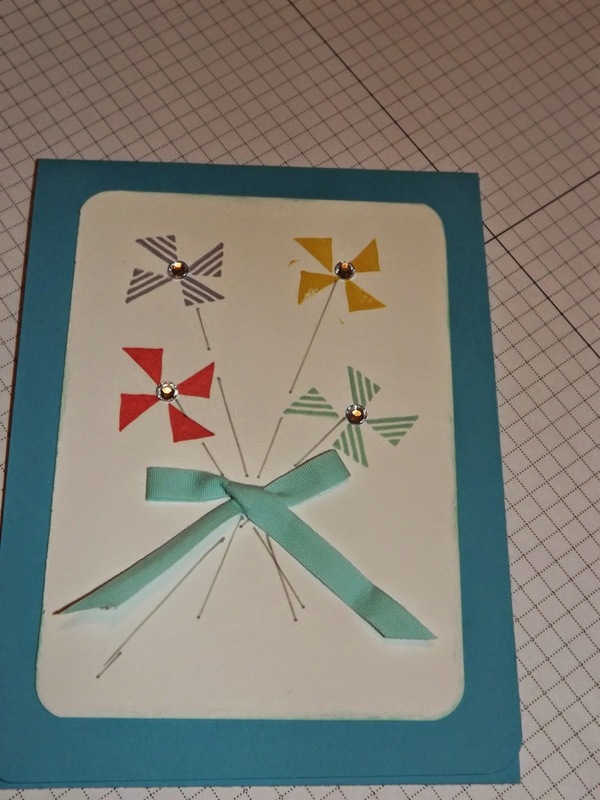 On the second card I have made little windmills out of the triangles. I have kept this very simple and not added a sentiment. The cotton ribbon is great for small bows. SAB Best Day Ever, stamp set again. 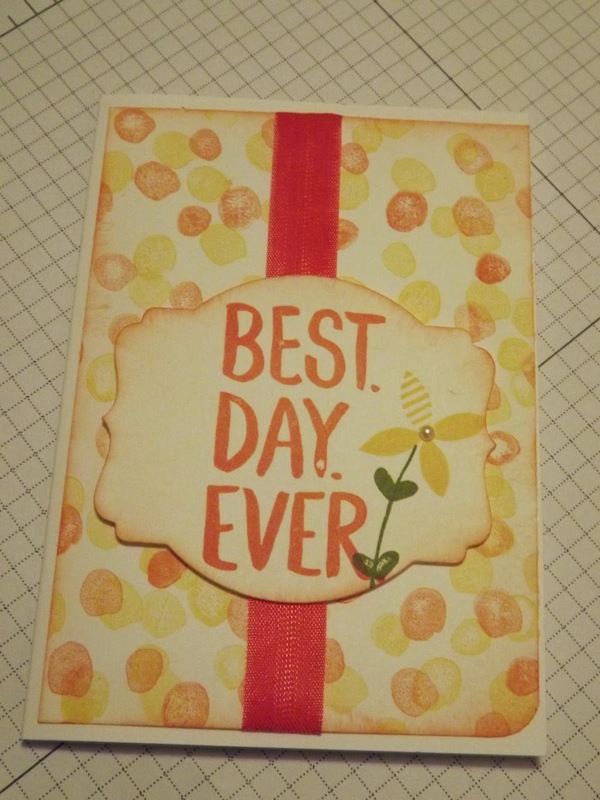 Another few makes using the 'Best Day Ever' stamp set. 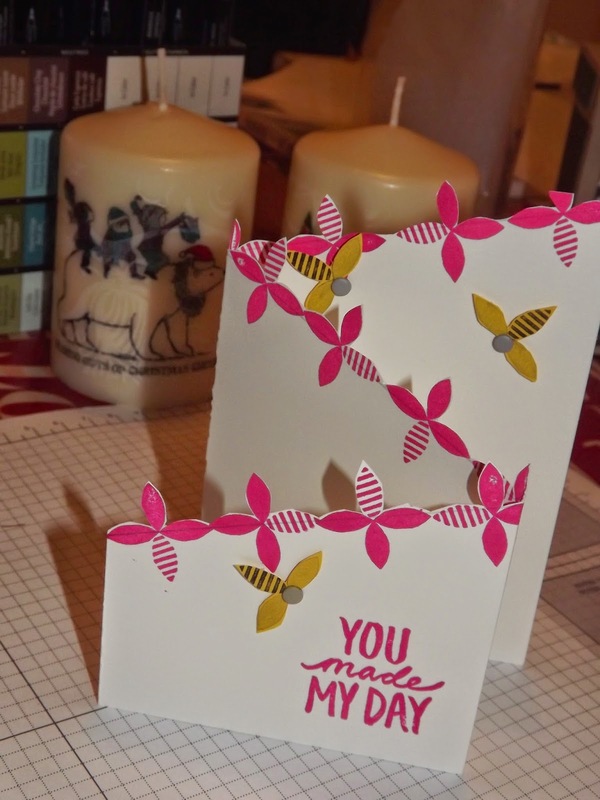 Loved making this zig zag card even though there is a lot of fussy cutting. The little flowers in the stamp set make lovely little bees. I stamped onto crushed curry card then cut out. The lines on the body are accentuated with a marker pen. 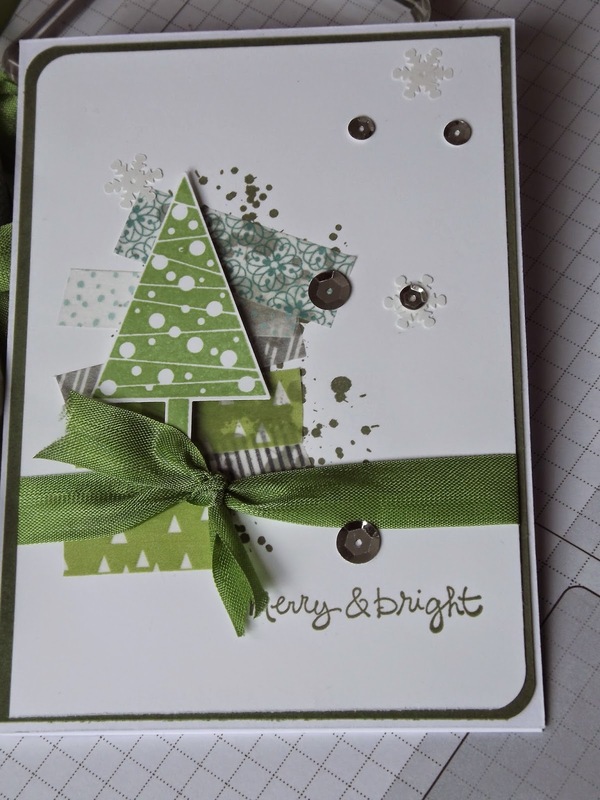 A candy dot was used for the head..
Fot this card I decided to try a single colour theme although in different shades. Hello honey, daffodil delight and crushed curry. A little piece of bakers twine to finish it off. Sneek Peeks galore over the next few days. 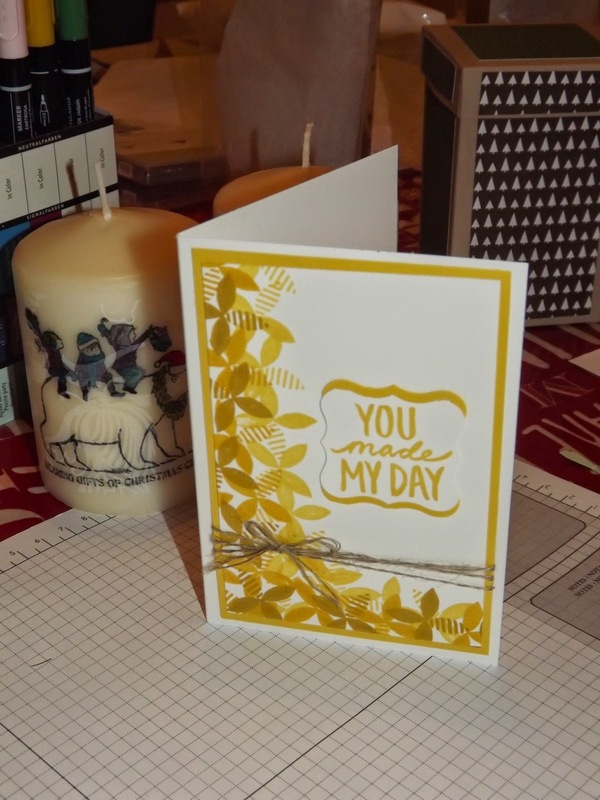 Todays are made with the stamp set 'Best Day Ever' Its free with a £45 from the main catalogue or the spring/summer catalogue. 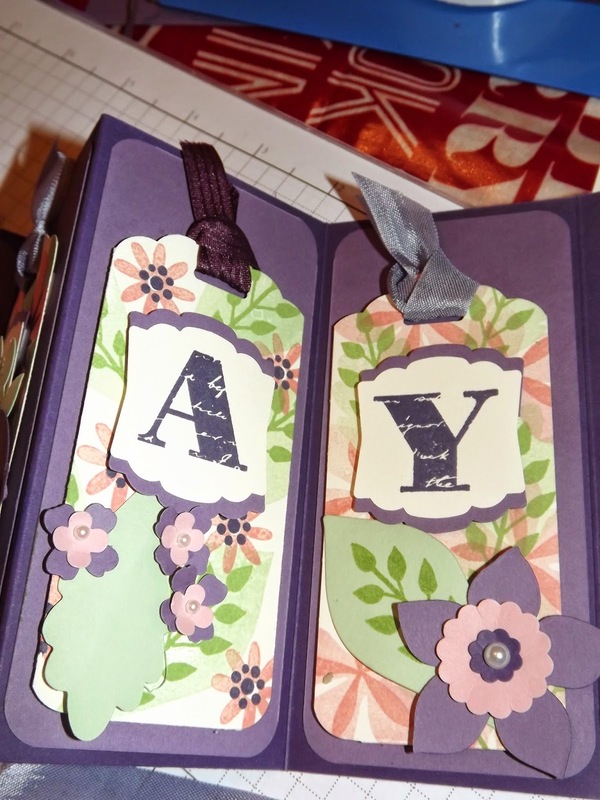 These makes were for the SAB Stamping'Up! tour. I have seen a number of Project Life pages using this set. Thats my make for next week. Well here it is folks. The new seasonal catalogue and SAB brochure. I will be sending them out between Christmas and New Year. You can start to purchase from 5th January. Either contact me to place your order or go online to my shop www.karenwatts.stampinup.net The brochures are also there from5th January for you to look through. 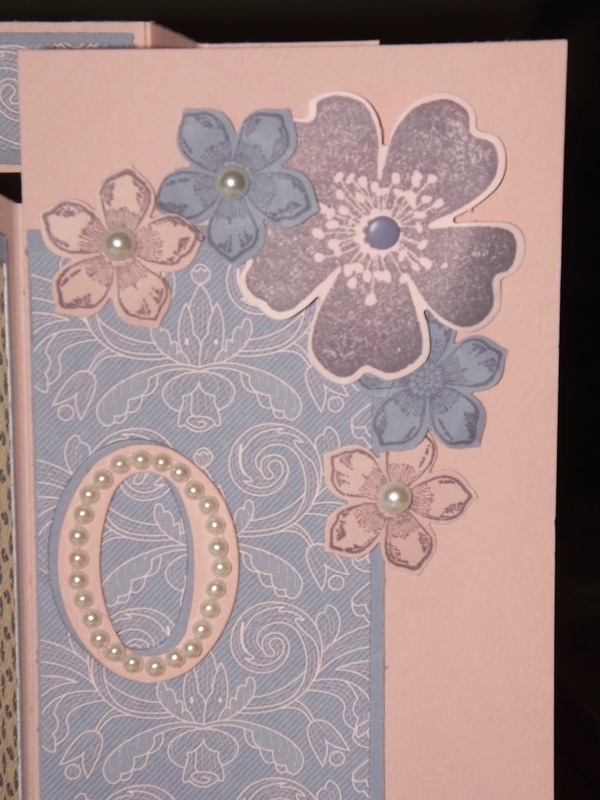 This is a sneak peak at the card I made at the Stampin'Up! SAB tour. A demonstrators get together where we were shown some of the new products. Being able to order products early and get a discount are just two of the reasons I became a demonstrator, there are loads more, not least the number of new friends I have made. 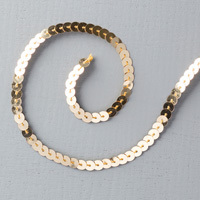 Joining during Sale a bration is a brilliant idea. contact me for a chat. 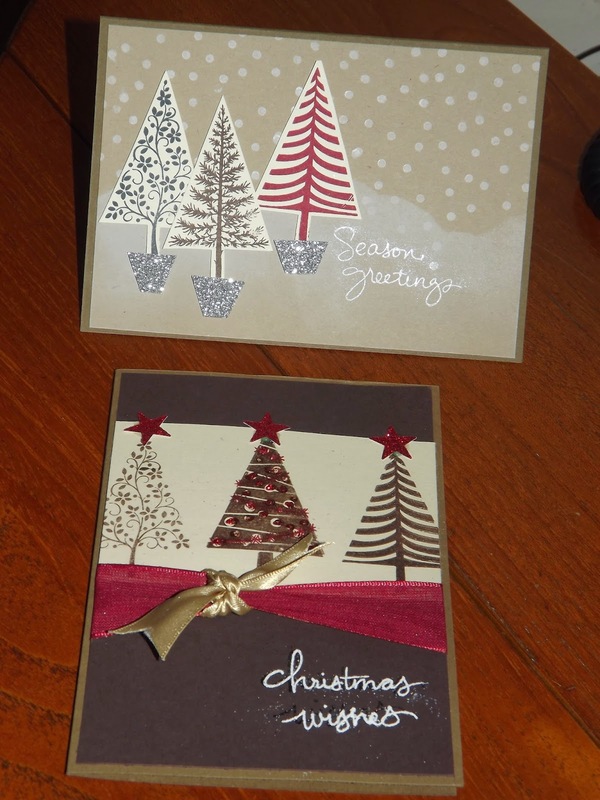 These are just 2 of the Thank You cards I sent out last month to my customers. The paper is the Autumn papers from the autumn winter catalogue. This catalogue ends on 5th January so if you want these lovely papers go online and order today from my online shop www.karenwatts.stampinup.net They are lovely and match with the Crushed Curry and Blackberry bliss inks and card as well as 3 others. Here I have used Cajun Craze, not a colour I use often. I have just updated the classes page, have a look, come and learn a new hobby. Off to finish my Christmas cards. 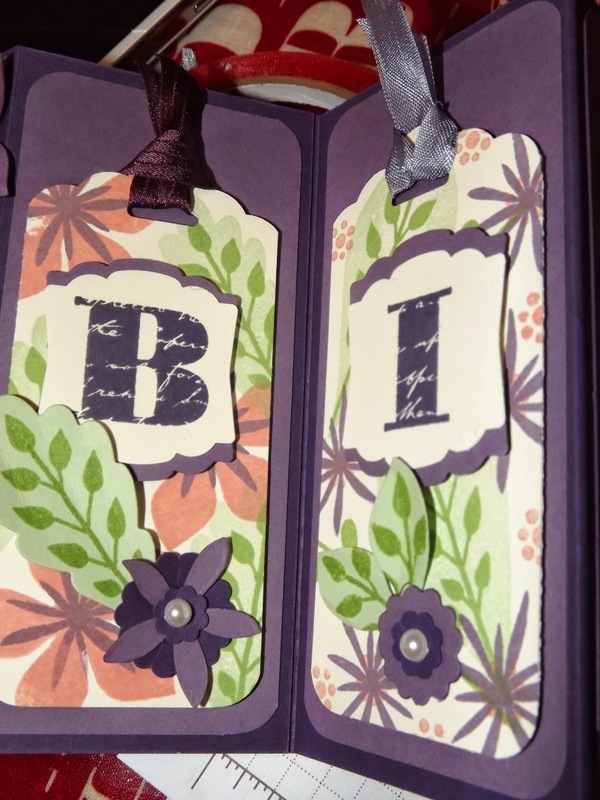 This card was for a special young lady, obviously it was a special birthday. 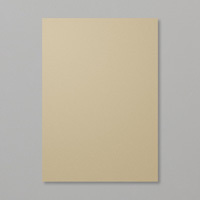 The fold was also one of Amanda's challenge WWWU's. This is something our team joins in on a weekly basis although my contribution was a bit late. But we all do it for the fun! You can find instructions for the fold at thecraftspa.blogspot.co.uk Amanda makes some amazing things, just scroll back through her posts. 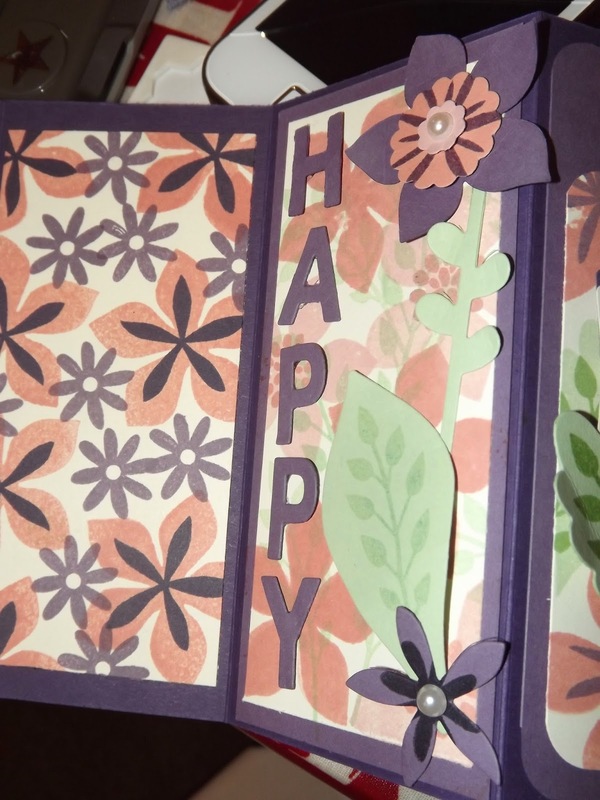 Come and make your own fancy fold card on Thursday January 15th. 7 - 9.30 £8 (you will have paper, card and ribbon to take home) , or have a couple of friends over to your own home minimum of 4, £10 per person message me for available dates. Booking is essential. I also need to know if you want a male or female theme card! Here is another but not pink. Its ages since I last blogged and so much has changed. Firstly I have started a new job. Its only part time but it has taken me ages to re organise my routine. 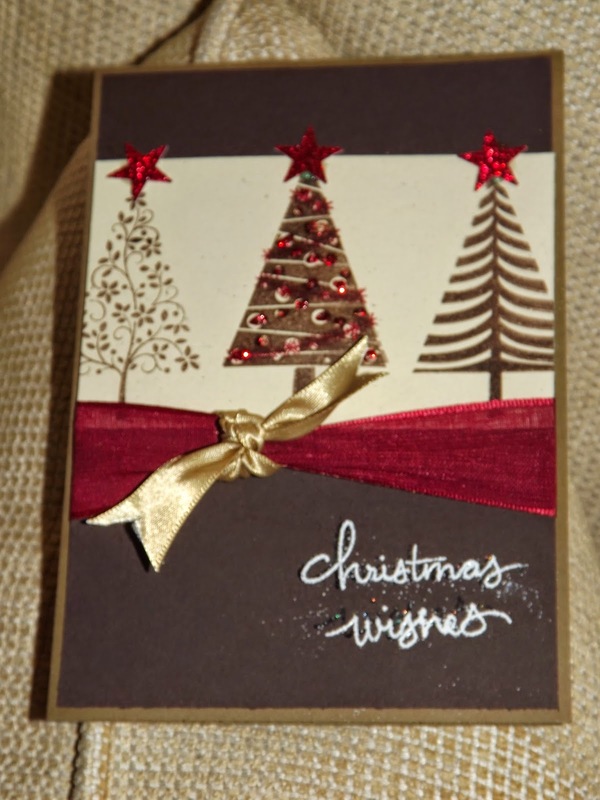 Then with Christmas so close I have spent hours making Christmas cards for friends, family and customers. I have lots to share with you so here goes. At the moment we know these are continuing until 5th January. This weeks has some really good deals and it is worth going online and ordering via my online shop. The dies have a good discount on them, I use both sets regularly. The 'in colour' marker pens are a great way of strting your collection. You can use these to ink stamps with so if you haven't got the ink pads these are a cheaper way to start getting the colours you want. If you want further details message me. I have an order going in on Saturday if you would rather not order online.